The metal flanges are printed in aluminum with a circular form, to be compatible with the hole of the metal polishing wheels. They have a central hole, in which is inserted the shaft of the machine, and other side holes, which are necessary to allow the air passage and the consequent maintenance of a temperature not excessively high of the wheel. 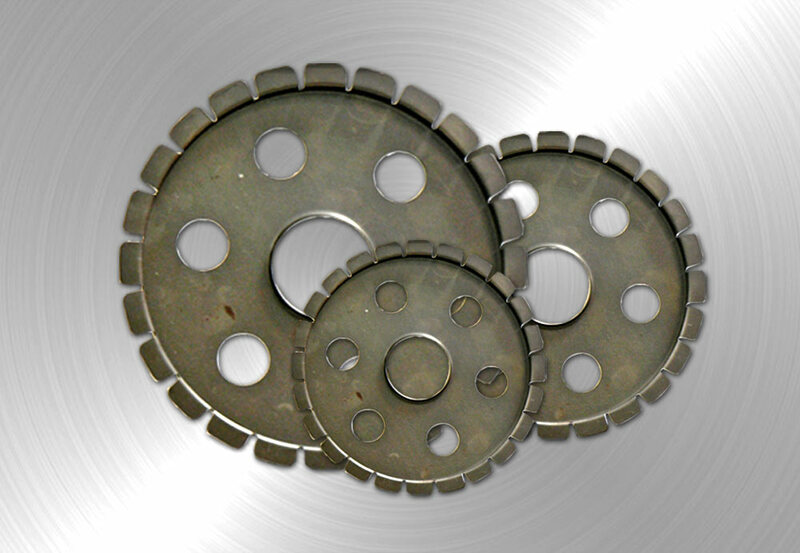 The flanges are used to adapt the wheels as supports, on the shaft of the machines, when the disks have a larger hole. They are available in different sizes and allow to mount wheels, composed of metal clips, to the shafts of the machines which have smaller diameter than the hole of the wheel, avoiding, consequently, of having to reduce the size of the hole of the disk through the installation of cardboards reductions on the wheel itself. They also allow the cooling process of the wheels assembled on rollers through the holes of the flange itself.